While you might not think of leaving the house without your fragrance carefully dabbed on your wrist and neck, have you ever thought of making it an actual part of your wardrobe? With some of the latest styles and fashion innovations, you can actually build fragrance into the clothes you are wearing. Here are some of the latest styles to consider. When you add some bling around your neck, you can now add fragrance as well. Necklaces with compartments that hold perfume allow you to wear your fragrance around your neck. 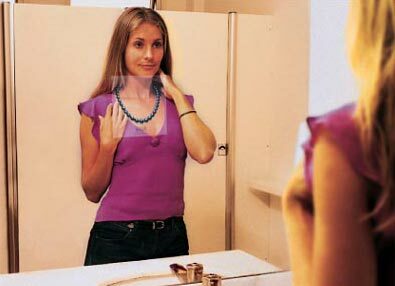 Instead of spraying it on your pulse points, simply don your necklace and you will both look and smell great. These compartments are refillable, so when the fragrance starts to wear off, simply refill and continue enjoying your great new scent. One version of the perfumed necklace is the aroma necklace. The aroma necklace does more than just add a fresh scent to your outfit. These necklaces are often filled with essential oils that provide relaxing or healing properties in addition to their great smells. Imagine wearing lavender around your neck as you seek relaxation throughout the day, or fill it with vanilla extract for a natural, pleasant scent. Levi Strauss probably didn’t have the rainbow in mind when he became the first person to mass produce blue denim pants for sale. But today’s jeans are testing the limits of tradition: From red to green, yellow to purple and even plaid, colored denim has blown up as a modern trend, and there are no signs of these vibrant colors going away anytime soon. 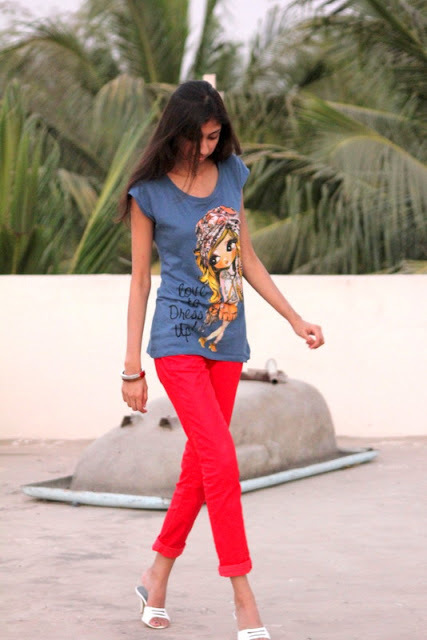 Colored denim can be intimidating for some fashionistas who prefer subtler, more elegant clothing. But colored denim doesn’t have to be restricted to the boldest personalities. With some smart wardrobe decisions, anyone—regardless of age, style or body type—can wear colored denim and pull it off. Whether you’re shopping for girls’ jeans or women’s denim, this is a super-wearable trend everyone can embrace. Here are some tips to help you incorporate colored denim into your own closet. Generally speaking, darker colors of denim will be more flattering than others, so burgundy, dark green and even dark gray are all worthwhile options. That doesn’t mean you can’t get crazy if you feel the colors suit your personality and body type. Reds, oranges and other bright hues will help you stand out if that’s your goal. Dark colors are probably better for the office, but the sky’s the limit in your free time. 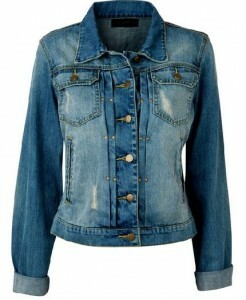 A denim jacket is one must-have for women. It can worn all year round whatever the season and it makes a great accent to any casual wear. Regardless of the time of day you’re wearing it, this jean jacket is surely a head-turner. So how do you find the one that fits your body type? Follow these simple steps. If you have a small top and wide hips, a cropped jean jacket is perfect. You can choose the one with long sleeves or one with a shorter sleeves. Make sure to match it with a high-waisted skirt or pants to put the emphasis on your middle part instead of your big hips. Last weekend I wanted to start my spring break off right by heading out for a night on the town with my friends. I was super excited for it all week, until I looked in my closet to pick out what to wear. Jeans, jeans, jeans, T-shirt, T-shirt, plain long-sleeved top—boring! My wardrobe was a major letdown, but my bank account wasn’t exactly in shopping spree mode. So, what does any fashionista do in this situation? She gets creative! Here are some awesome ways to transform your outfit from casual to glam. When I first saw this trend surface in the fashion blogosphere, I’ll admit I thought it seemed a little over the top. But being the girly girl that I am, I couldn’t resist trying it out. With just one glance in the mirror, I was hooked. 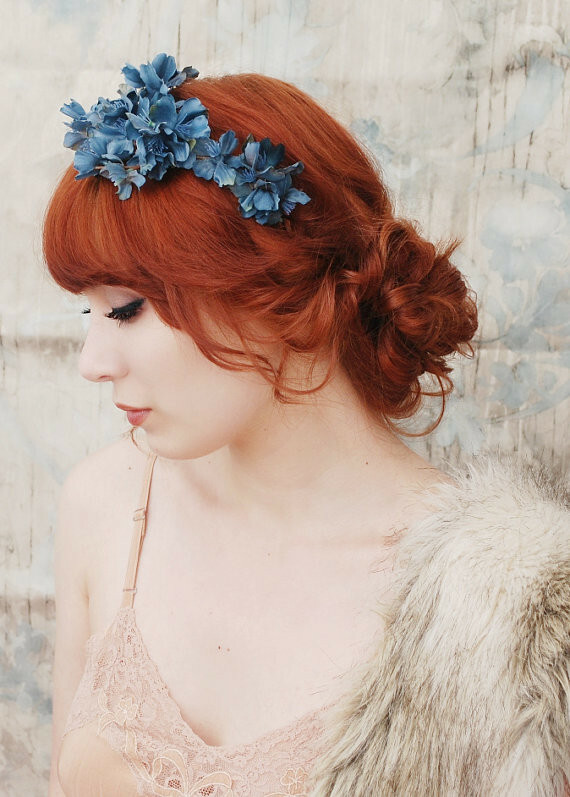 There’s no better way to feel like a princess and make your outfit stand out than topping off with a beautiful flower crown. Plus, even if you’re not into the princess look, stylist Rachel Zoe’s hippy-esque attire is all the rage. If you’re more comfortable in 70s-inspired designs, even more reason to give the flower crown a go! An array of pink hues is the perfect finishing touch to a simple white crop top and blush chiffon maxi skirt. Basic bracelets are great for adding fun colors and sparkle to a bold look, but you need a bit more pizzazz to spice up a bland outfit. Trendy eternity bracelets are gorgeous Eastern-inspired pieces that add an exotic flavor to your jewelry collection. Complete the theme with hamsa hand and evil eye motifs for a culturally consistent look, and keep the bohemian trend going with the rest of your outfit. Think long, loose dresses, simple sandals and oversized hippie sunglasses.